The new 2020 Ford Escape will offer hybrid shoppers two choices – a conventional hybrid and a plug-in hybrid with a Ford-estimated 30 miles of all-electric range. The Escape Hybrid, which could win an EPA fuel efficiency rating of close to 39 mpg if Ford’s math is correct, will be available simultaneously with the standard gasoline models later this year. 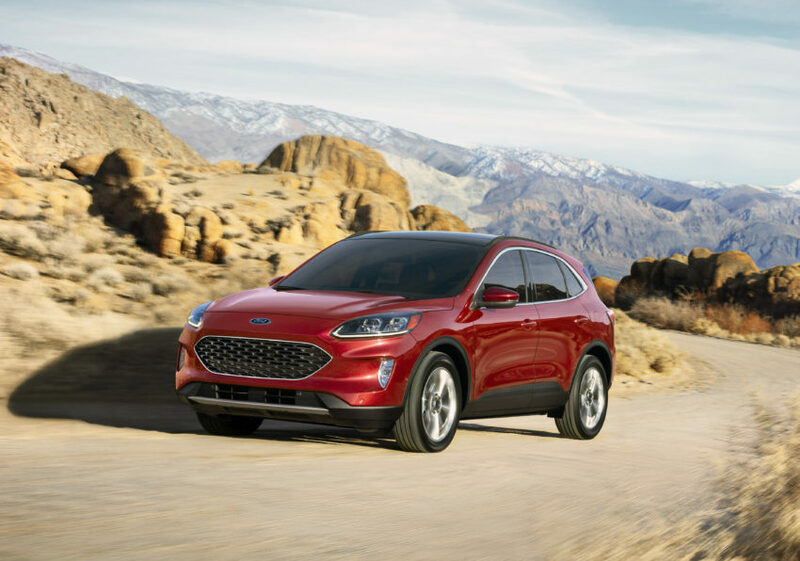 The plug-in hybrid Escape Energi will launch in early 2020 and is slated to be sold in all 50 states. These are the first Escape hybrid models since the original, which ran from the 2005 through 2012 model years and was the industry’s first hybrid crossover. The PHEV is the first-ever plug-in hybrid for the Escape line. The redesigned, re-engineered 2020 Ford Escape was unveiled this week. It is a small crossover with a lot of passenger and cargo space and a sporty new design in a package that is longer, lower, wider and lighter than the outgoing model. The standard hybrid version will be offered in two trim levels, SE Sport and Titanium. The plug-in hybrid will come in three trims: SE, SEL and Titanium. The conventional 2020 Ford Escape Hybrid will be available with front-wheel drive or all-wheel drive; the PHEV will come only with front-wheel drive. Each is rated to tow up to 1,500 pounds, versus up to 3,500 pounds for the gas-only models. 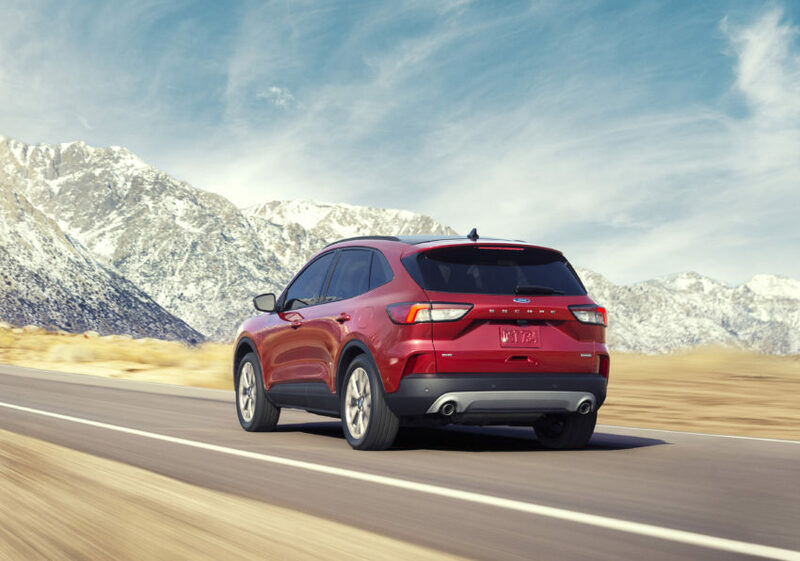 Both can be flat-towed behind an RV, though, as Ford’s “intelligent AWD” system has a disconnect function that lets the rear wheels roll free on the AWD Escape Hybrid. The 2020 Escape Hybrid and the Escape Energi come with 2.5-liter gas engines, augmented with electric drive systems. Ford is aiming for 198 horsepower for the conventional hybrid and 209 hp for the PHEV. The Escape Hybrid will use a 1.1-kWh, liquid-cooled lithium-ion battery fitted under the sliding, folding rear seats. The PHEV will use a 14.4-kWh battery – also lithium-ion, liquid cooled and located underneath the rear seats. Ford hasn’t released pricing or official EPA fuel-efficiency ratings yet. But the company says the front-wheel drive versions of the Escape Hybrid, with a 14.2-gallon gas tank (regular, unleaded) will be able to achieve more than 550 miles of range, which works out to about 39 mpg. As part of the 2020 Ford Escape redesign, all models get new suspensions and, Ford promises, improved ride and handling. EV Later lets drivers lock out the electric drive system to conserve battery energy for later – in a downtown quiet zone or a wilderness zero-emissions area, for instance. Nifty features inside include 60/40 split rear seats that slide independently to facilitate a number of passenger and cargo configurations. When both sections are pulled forward as far as possible, they create an additional 3.7 cubic feet of space in the rear cargo area. It is configured as a well between the standard cargo floor and the seat backs, about 5-inches wide and a foot deep and spanning the width of the vehicle’s interior. 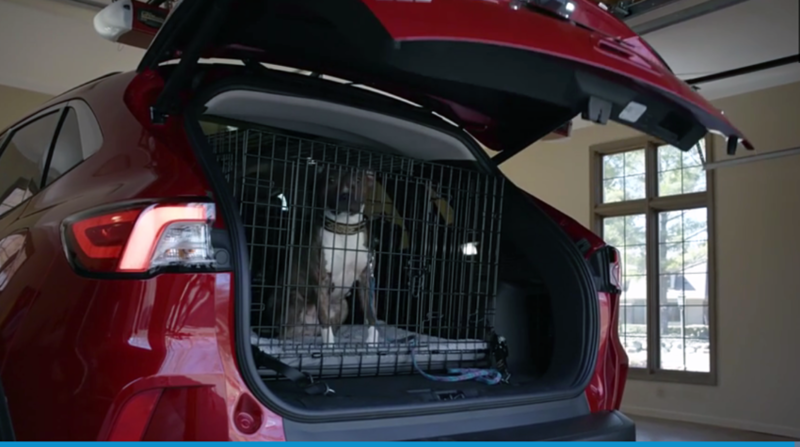 That “maximized” cargo space measures 34.4 cubic feet in both the Escape Hybrid and Escape Energi. With the rear seats pushed back to maximize leg-room instead, the rear cargo area measures 30.7 cubic feet. That’s 2.8 cubes less than the gas-only models with maximum legroom, and 3.1 cubes less – or about 2 airline carry-ons – with maximized cargo area. 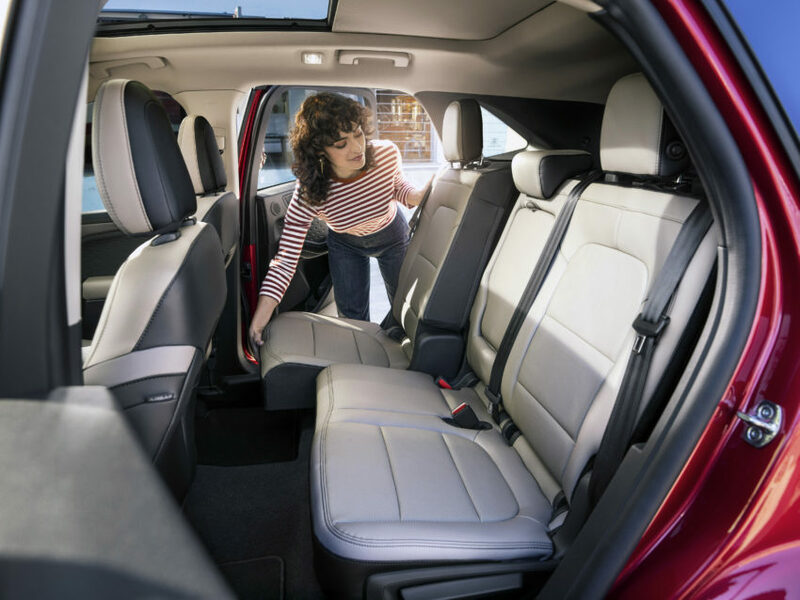 With the rear seat backs folded flat – and they do create a pretty flat cargo floor when folded – total cargo area opens up to 60.8 cubic feet in both hybrid models. That’s 4.6 cubic feet less than in the non-hybrid Escapes. Both hybrids lose about 1.75 inches of rear legroom versus the non-hybrid Escape. An 8-inch touchscreen infotainment system is standard with both the Escape Hybrid and Escape Energi. The top-of-the-line Titanium trims in hybrid and gas-only models get a head-up display, the first for Ford in North America. The full list of features and options isn’t available yet, but Ford has said that the Ford Co-Pilot360 driver assist system is standard across the line. That includes blind spot warning, cross-traffic alert, lane keeping warning and assist, auto high-beam headlights and pre-collision assist with auto emergency braking, pedestrian detection and forward collision warning.